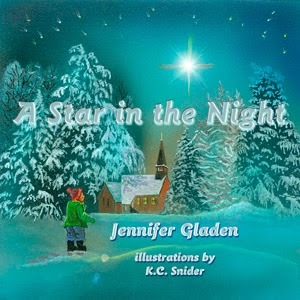 Today’s guest is a fellow GAP author, Jennifer Gladen. Jennifer Gladen is a children’s author who lives and writes in Pennsylvania. She is the author of A Star in the Night, Teresa’s Shadow, and Angel Donor through Guardian Angel Publishing. 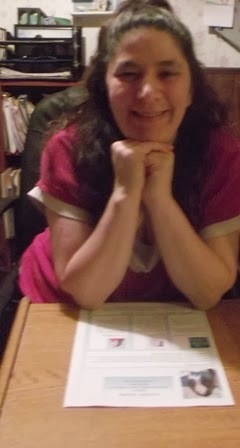 She contributes as a columnist at Catholic Mom and is a member of the Catholic Writers Guild (C.W.G.) and the S.C.B.W.I. She has written several children’s stories, poems and articles, and started her own Catholic e-zine titled My Light Magazine. Hi Jennifer! Welcome to Strands of Thought. Can you tell us about your books. Teresa’s Shadow- One night at bedtime Teresa discovers Corky, a furry visitor, in her room. Corky is no ordinary monster. In fact he seems just as scared as Teresa. Teresa soon realizes she must help Corky get home. But how can she when she’s afraid of the dark and Corky is afraid of the light? I also do school visits and presentations about writing and the publishing world. In addition, authors frequently ask me to review and critique their work. So I am happy to announce that I am available to offer my critiquing and proofreading services for a small fee. Contact me at jennifer_gladen5@msn.com with Critique Request in the subject line if you are interested in a professional critique at a low cost. Include in your e-mail: title, word length, genre and age group. I specialize in children’s literature. A Star in the Night is pretty unique, but it’s closest to picture books on the true meaning of Christmas. 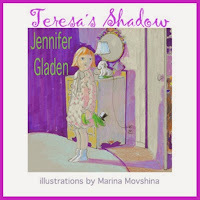 Fans of Go Away Big Green Monster or A Monster Under Alex’s Bed may enjoy Teresa’s Shadow. 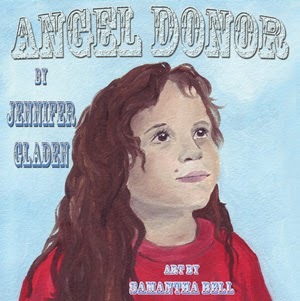 Angel Donor is another unique book, but similar books are Now Caitlin Can and The Inside Story. Readers, Jennifer wants to know: If an author could visit your child’s school, what would your child enjoy the most? What would they want to see? Three skills an author must hone are: Submission Etiquette, Using a critique group, and patience. I also run a children’s magazine, and these issues pop up all the time. Follow the submission guidelines to the letter. Include your cover letter and bio – look professional. Critique groups are essential both for those just starting out and for experienced authors. The last thing you want to send to a busy editor is a rough draft. Finally, patience is a must. Following up is good and crucial, but allow for the allotted time listed in the guidelines. You want your name to be known for your work, not as THAT author. I always wanted to be an author. I wrote in journals, diaries and old copybooks to create books. I also wanted to be a teacher and a mom. Interestingly, I have managed to do all three. But writing has always been my first love. Thank you for charming us on this week’s Three Times A Charm, Jennifer! Best of luck to you and your writing. Thank you for having me. It was so much fun! I'm so glad you could visit, Jennifer. Kai and Jennifer: I enjoyed reading about A Star in the Night. Thanks for the post!